Thanks so much for your interest in our Sustainablist test knitting, we’d love to have you on our team! Test knitting is an important part of every design‘s journey, and if you're a knitter, you probably heard about it at some point, but maybe you're wondering what exactly test knitting is all about? In a nutshell: When a new design has been finalised and tech edited, a group of test knitters gets free and early access to the pattern before we publish it as well as exclusive access to discounts on the original yarn (plus a copy of the final pattern and another Sustainablist pattern of their choice upon successful completion). In exchange, test knitters knit up their own version of the design and give feedback on their knitting experience by a specific deadline. In other words: you are the first ones to share your projects of a new design – consider yourselves design ambassadors! 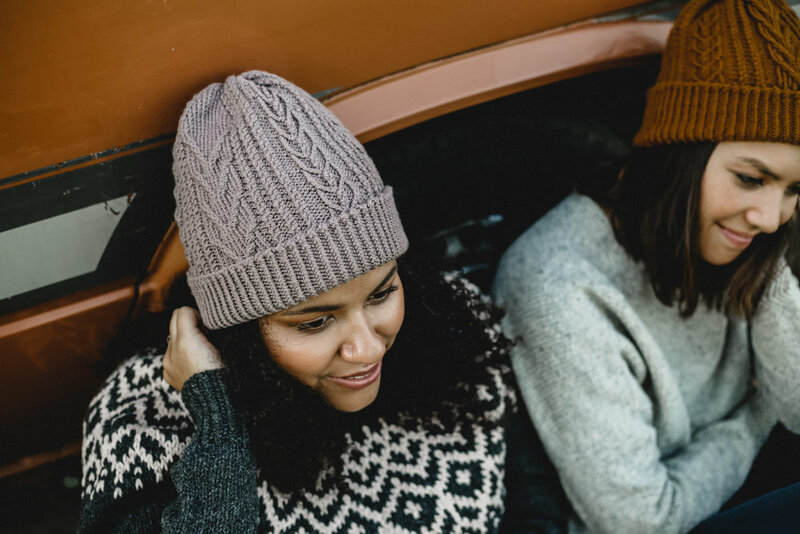 Once you're signed up to our test knitting email list, you'll receive a welcome email to walk you through all steps of the process here at Sustainablist. In terms of platforms, we host all our test knits on Google Drive, so you should be comfortable with using Google Docs (Curious to see what the test knitting patterns actually look like? Here's an example! ), and our chatter threads are on Slack. Wanna join our team? Simply fill out this form and we'll get in touch with you whenever a new test knitting opportunity comes up (We recommend using a different browser than Safari or Chrome to sign up as they have troubles with the Instagram handle field - we're working on a solution!). And if you wanna see what test knits will open next, go take a look at our upcoming test knits here! Thank you so much for signing up as a test knitter, we're so happy to have you! Please check your inbox and confirm your subscription, and we'll be in touch as soon as the next test knitting opportunity comes up!